As a young man he walked from Holland to Constantinople, providing fodder for two of his acclaimed books. As an army major during WWII, he led a team that captured a German general in Nazi-occupied Crete. 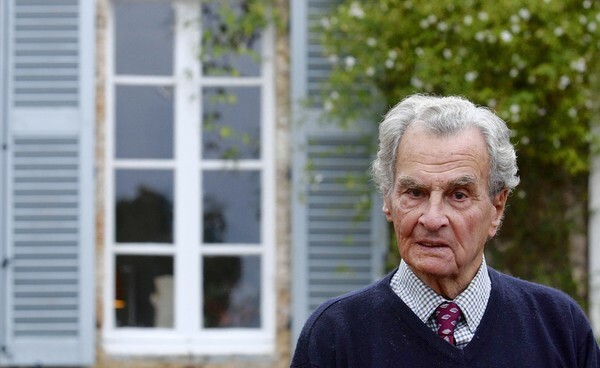 British travel writer Sir Patrick Michael Leigh Fermor, who tramped across Europe in his teens and captured a German general in Nazi-occupied Crete during World War II, died in Britain on Friday. He was 96. Leigh Fermor had arrived in Britain on Thursday, a day before his death, said his publishing house, John Murray. The author lived most of the year in Greece, near the southern village of Kardamyli. Leigh Fermor combined a love of adventure with the erudition of an older age and an eclectic inquisitiveness. His elegant prose, with baroque digressions into the arcana of history and folklore, furnished more than half a dozen books and earned a host of literary awards. At 18, after a disastrous career at a succession of schools, he decided to walk from Holland to Constantinople, now Istanbul. It was 1933, the year Adolf Hitler came to power. As a British army major 11 years later, Leigh Fermor headed a team of British special operations officers and Greek resistance fighters that captured the German military commander of Crete, Gen. Karl Kreipe. Eluding a furious manhunt, the small band spirited the disgruntled Kreipe over the island’s snow-topped mountains to a southern cove, from which he was shipped to Egypt. The action, for which Leigh Fermor was awarded the Distinguished Service Order, reportedly prompted the infamous Nazi order to execute captured Allied commandos. With a price on his head, he returned to Crete to coordinate covert operations. The escapade was recorded by Leigh Fermor’s fellow officer William Stanley Moss in his book “Ill Met by Moonlight,” later turned into a film starring Dirk Bogarde. Leigh Fermor was born Feb. 11, 1915, of English and Irish descent. His father was the India-based geologist Sir Lewis Leigh Fermor. His writings are studded with gems of obscure knowledge, a fine sense of place and character, and surreal anecdotes. In Missolonghi, Greece, he tracked down a pair of slippers that had belonged to Lord Byron. He rode with a Greek cavalry unit during a rebellion in the 1930s before peeling off to visit a camp of Sarakatsan nomads. He swam the Hellespont, capped Latin verses unexpectedly quoted by his captive general and had an affair with a Romanian princess. Leigh Fermor also matched the ideal of a certain model of Englishman: a charming, polyglot scholar — albeit self-taught — and gentleman who had a good war, consorted with aristocracy and lived in foreign parts, worshipped by the locals. He was knighted in 2004 — accepting an honor he had declined in 1991. His wife, Joan Leigh Fermor, died in 2003. The couple had no children. This entry was posted in Paddy in the News, Paddy's Death and tagged Patrick Leigh Fermor on June 11, 2011 by proverbs6to10.